Street Science, astrophysics, alien life, Women in STEM, Pioneers in Science, medical breakthroughs, spiders, experiments, fossils, experts and baby hatching turtles! There was so much to experience at World Science Festival Brisbane 2018. Queensland Museum welcomed more than 200,500 people to World Science Festival Brisbane in 2018 as they participated in thought-provoking conversations, lively debates and engaging scientific demonstrations. The 2018 festival delivered more than 100 events across six locations – Gladstone, Chinchilla, Toowoomba, Ipswich, Brisbane and Townsville – and involved hundreds of festival participants from across the globe. Minister for Science and the Arts, Leeanne Enoch said the popularity of the World Science Festival Brisbane continued to grow and capture the imagination of Queenslanders, with the festival attracting record-breaking attendances. “In its third year the World Science Festival Brisbane 2018 attracted more than 200,500 people, an increase of 10% on 2017, proving Queenslanders have a growing passion for Science,” Ms Enoch said. World Science Festival co-founder Professor Brian Greene said the Brisbane event once again delivered a robust and varied program. “The festival pushes the frontiers of understanding and brings cutting edge science programming to a broad audience,” he said. “This is the third World Science Festival Brisbane I have attended and I was once again impressed by the depth and quality of the program offered. The festival’s overall theme of humanity was underpinned by a profound program that looked at a variety of topics from space to spirituality, evolution, the environment and art. Queensland Museum Acting CEO Dr Jim Thompson said each and every year World Science Festival Brisbane continues to thrive and grow.  “Queensland Museum continues to be a central hub of the World Science Festival Brisbane welcoming more than 68,000 visitors who were able to actively participate in a lively program that featured live turtle hatching, spiders, insects, fossils and cultural displays from the collection,” he said. Minister for Innovation and Tourism Industry Development and Minister for the Commonwealth Games, Kate Jones said World Science Festival Brisbane had cemented itself as a must-do event. “World Science Festival Brisbane continues to attract visitors from around the globe to not only south-east Queensland, but across the state with our regional centres highlighted from the coastal cities of Gladstone and Townsville to regional centres such as Toowoomba and Chinchilla,” she said. Across the five night and four-day program there was plenty of highlights including the world premiere of Close Encounters of the Third Kind in Concert ahead of its screening Royal Albert Hall in London in June. Brisbane Lord Mayor Graham Quirk said the World Science Festival brought many benefits to the city and was part of a strategic focus to showcase Brisbane as a centre for innovation. “We are proud to be the only global extension of this hugely popular event outside of New York and its continued success affirms our position as Australia’s New World City,” Cr Quirk said. Held from 21-25 March, the World Science Festival Brisbane takes science out of the laboratories and onto the streets, parks, museums and performing arts venues of Brisbane to inspire curious minds. World Science Festival Brisbane 2018 was presented by Queensland Museum in partnership with Queensland Government, Tourism and Events Queensland, Brisbane Marketing, Griffith University, Queensland University of Technology, The University of Queensland, BHP Billiton Foundation, ABC, Channel 9, Queensland Performing Arts Centre, QGC, Arup, Queensland Art Gallery and Gallery of Modern Art, State Library of Queensland, South Bank Parklands, Celestron, CABAH, Inspiring Australia, QIMR Berghofer Medical Research Institute, C&K, ANTSO, AARNET, Mantra Hotels, Sci-Fleet Toyota, Welcome to the Fold, Cosmos and Healthy Land and Water. The festival will continue for another three years until 2021, 2019 dates are yet to be announced.